One of the reasons we like QuickBooks is because it uses language and processes that are familiar to small businesspeople. 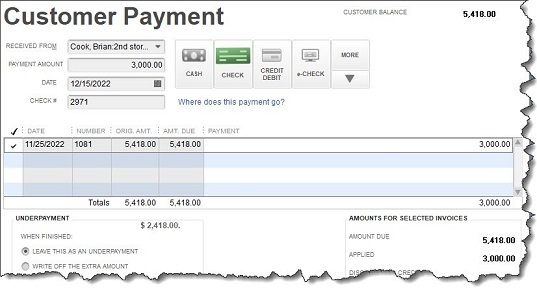 Instead of using the term “accounts receivable,” it has a menu label that says Customers and menu items that use phrases like Create Invoices and Receive Payments. You would have to go into the Chart of Accounts to find standard accounting terminology – and we do not recommend that you do that without consulting with us first. 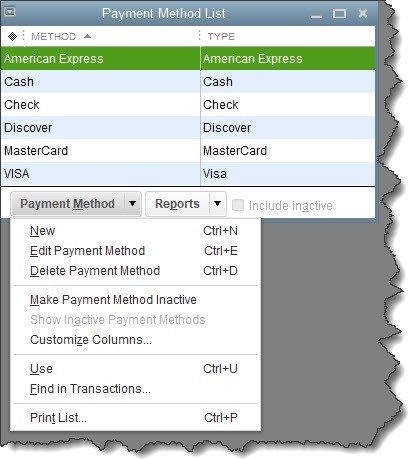 Receiving payments from customers is one of the easier tasks you’ll do as a QuickBooks user, but if you don’t use the software’s tools correctly, your books will be difficult to untangle. We can help ensure that you’re doing this element of your work right from the start; please contact us to schedule a consultation.